More information on this project on the Telecentres and Mobiles website. Fotohistórias: vidas en la frontera, en EEUU y en el territorio (Photostories: lives at the border, in the US and back in the territory). Intervention at Luis Fernando Barón’s class “Laboratorio Migrantes, Tecno-Medios y Cambio Social” (Migrants, Technologies and Social Change), Master in Periodismo (Journalism), Universidad ICESI, Cali, Colombia, 5 May 2015. This paper explores the possibility for a design-based research (DBR) methodology in the broader ICT-for-development (ICT4D) domain. Specifically, the authors reflect on the application of DBR within a local development project, active in Mozambique, titled RE-ACT. This paper will reflect on a design-based research strategy in terms of RE-ACT, and will explore its opportunities, both for the respective research outcomes and for the discipline of ICT4D. The authors note the distinctive advantages of DBR, but conclude that the social impacts of the methodology are elusive. Presented at IDIA 2013 Conference, Bangkok, Thailand. from Sara Vannini Final dissemination workshop of the project RE-ACT (social REpresentations of community multimedia centres and ACTions for improvement). The workshop counted on the presence of the directors of the Community Multimedia Centres of Chitima, Chiure, Cuamba, Dondo, Ilha de Moçambique, Morrumbene, Quelimane, Sussundenga, Xinavane, representatives of Centro de Estudos Africanos and Centro de Informatica of the Universidade Eduardo Mondlane, CAICC, Catholic University of Mozambique – Pemba, UNESCO Mozambique, Radio Mozambique, Maputo Living Lab, MEGCIP, and the Swiss Cooperation (SDC). 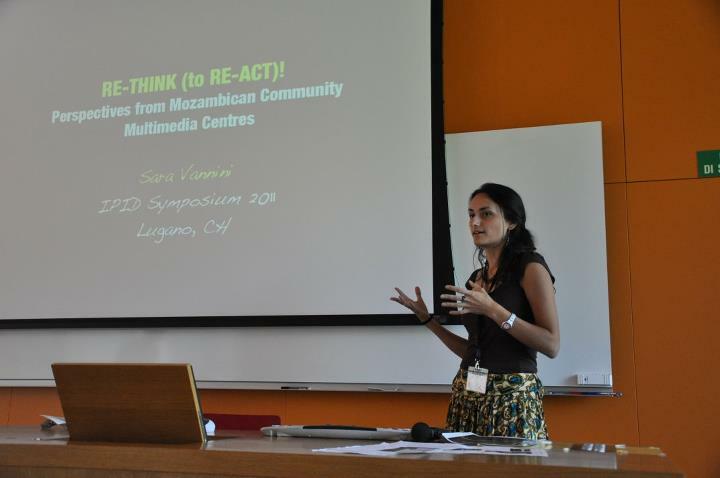 My PhD Defense “Social Representations of Community Multimedia Centres in Mozambique”, Università della Svizzera italiana (USI) Lugano, Switzerland, 6 June 2014. UNESCO Community Multimedia Centres are a specific model of public access to Information and Communication Technologies (ICT). These venues are conceived to address the information needs of underserved and marginalised communities in emerging and developing countries. They are composed of a community radio station, which broadcasts in local languages and is managed by local people, along with a telecentre, a place where people can access computers, the Internet, and other services such as offline content collections, photocopier and fax. The model was designed as an ICT for development (ICT4D) initiative, aimed to bridge the digital and knowledge divides experienced within remote communities. Community Multimedia Centres (CMCs) can be defined as a top-down, off-the-shelf solution, designed on communities’ behalf and replicated in a variety of countries. This one-size-fits-all kind of intervention has characterised most of the first wave of ICT4D projects, and was, in later time, criticised in favour of more participatory approaches. Top-down approaches are believed to originate mismatches between design assumptions and observed realities. Yet, CMCs and analogous public access to ICT projects, still receive considerable attention within the field, and huge investments are still made by governments and international organizations to support and create them. This research explores the phenomenon of CMCs in Mozambique by investigating Social Representations (Moscovici, 1961) that different stakeholders’ have of them. Social Representations can provide an integrated view of CMCs that give voice to local perspectives without neglecting to take into account the initiating agencies’ expectations. Social Representation theory is, thus, proposed as a suitable theoretical framework to operationalize the gaps between designs and realities that too often affect ICT4D project sustainability. This research was conducted by using a mixed methods approach. CMCs of 10 Mozambican provinces were investigated by conducting 232 interviews with representatives of initiating agencies, local staff members, CMC users (both the radio and telecenter components), users of the community radio only, and community members who did not use the CMCs. Photo-elicitation was also used, which is an underexplored technique in ICT4D, and was employed for data generation with members of the staff and CMC users. Following the analysis of transcribed interviews, different data analysis methods were employed on both the visual and the discursive data generated, including co-occurrences of the lemmas used by interviewees and inductive and deductive content analyses. The combination of these different techniques allowed to gain in-depth insights and to triangulate research outcomes. Outcomes of the analyses are presented in three journal articles included in this work. Furthermore, a systematic literature review on the use of Social Representations Theory in ICT4D and adjacent domains was performed, which sheds light on the potential that the theory has for the field. This work makes a case for approaches that include contextual realities and local actors in the design of ICT4D interventions, and validates Social Representations as a suitable theory in the field. Also, it proposes a viable methodological strategy able to grab the complexity of the local context. Overall, the theoretical and methodological frameworks employed generated valuable outcomes, which confirm and increase the literature about public access to ICT venues. Outcomes from this work will inform academics, as well as practitioners and policy makers about the way CMCs are accommodated into different social actors’ universes of meanings and practices, and about meaningful improvements to be enacted into the local context. On the cutting-edge scene for several years, and recently overtaken by the diffusion of more personal and pervasive technologies, telecentres have attracted and are still luring the interests of Governments in developing regions. To individuate improvement strategies and give food for thoughts to researchers and practitioners in the area, this study presents an in-depth qualitative analysis of the reasons why local people in Mozambique do not access the telecentre component of their local Community Multimedia Centers (CMCs). Based on 229 semi-structured interviews, the analysis allows to depict four main clusters of reasons for non-use, to finally suggest how they can be overcome. This panel engages with these issues, focusing on methodologies for community-based research that share a concern for understanding community views and visions. Three data gathering methods are explored, and examples are given of their application within three international research projects in Syria, Mozambique, and South Africa. The comparison and discussion over these cases aims to examine the impact of methodological choices on the outcomes of community-based research, clarifying implications for two complementary, yet distinctive, purposes: 1) generating genuine community meanings and understandings; and 2) informing design of relevant community information systems and communication artifacts. Presented at CIRN 2013 Conference, Prato, Italy. CMCs staff members, especially those involved in radio programs, should be to provide edutainment experiences, by “purposely designing and implementing a media message to both entertain and educate, in order to increase audience knowledge about an educational issue, create favorable attitudes and change overt behavior” (Singhal and Rogers, 1999). This research aims to explore the perceptions of local communities towards CMCs in terms of informal and formal learning happening in and fostered by CMCs. Presented @ Annual Conference of the Swiss Society for Research in Education – SSRE 2013 on Integrating formal and informal learning, August 21-23, 2013, Università della Svizzera italiana, Lugano, Switzerland. This paper investigates different stakeholders perceptions of the most widespread kind of venues to publicly access ICTs in Mozambique: Community Multimedia Centres. By rooting in the social psychology theory of Social Representations, this study analyzes autodriven photo-elicited interviews (n=103), to users (n=55) and staff members (n=48), across 10 locations within the country. 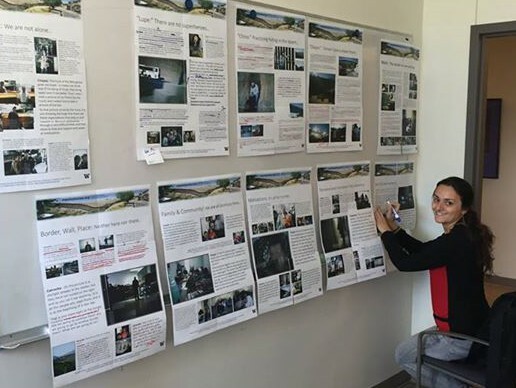 Photo-elicited interviews are explored through photo-taxonomy and qualitative thematic analysis, aided by the Nvivo 9.2 content analysis software. The paper suggests how this data collection technique encouraged interviewees to reflect about what a CMC is and what it should be, while providing important insights about users’ and staff members’ ideas, values and practices about these venues. Community Multimedia Centres are considered by initiating agencies as instruments able to inform, entertain and educate the population, as well as to give them voice into the knowledge society and to enable them to have a larger impact on public issues. As part of a bigger research and development project aiming to unveil how local communities, instead, perceive them, this paper qualitatively analyzed a corpus of 235 local people’s statements regarding inbound, out-bound and shared information and communication flows connected to Community Multimedia Centres in Mozambique. The study will highlight how CMCs are identified more as information than communication enablers, and mostly in discourses related with their Community Radio component. They are not widely recognized, instead, as participation means to a reality that transcend the communities’ borders. Presented at CIRN 2012 Conference, Prato, Italy. Visual methodologies are widely diffused in social sciences, but they have rarely been considered within ICT4D researches. The main idea behind them is the shared belief that photographs, in comparison to just oral or written data, offer the opportunity to gain not only more, but different insights into social phenomena. In this workshop we want to show how to integrate and interpret photographic material within ICT4D research projects: examples of photo elicitation will be combined with practical works in groups on different methods of analysis (content analysis, semiology and discourse analysis), and a critical approach towards the visual and its implications will be discussed. In this workshop we want to show how to integrate and interpret photographic material within ICT4D research projects: examples of photo-elicitation will be combined with practical works in groups on different methods of analysis (content analysis, semiology and discourse analysis), and a critical approach towards the visual and its implications will be discussed. Open Session at ICTD 2012, Atlanta, USA. Presentation at TASCHA talk, 9 August 2012, UW, Seattle, WA. For the class “Tecnologie Digitali per le istituzioni pubbliche e no profit” (Bachelor), USI. 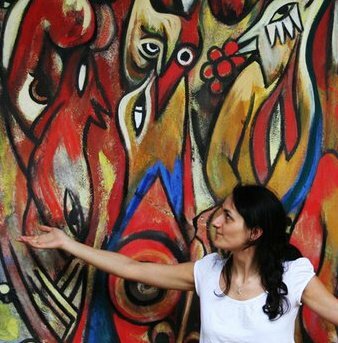 Presented at PhD course “Academic Teaching”, USI, Lugano, Switzerland, December 2011.